Earlier this month Breaking Travel News took a look at the new Grosvenor House Apartments by Jumeirah Living. While we were impressed with the sleek, cultured lines of the property, the formal atmosphere could leave some travellers feeling a little cold. There is no chance of that with the Sofitel St James; with the central London property sitting right on the fault line between the glamorous Mayfair and tourist delights of the capital. With the National Gallery, Leicester Square, Trafalgar Square, the Mall, Parliament and even Buckingham Palace literally a stones throw from the hotel, tourists will be right in the thick of the action. Business travellers will also be well positioned, with Pall Mall and the surrounding area packed with embassies, headquarters and exclusive restaurants. But, what is the St James like? As much as a Grade II listed building owned by the Crown Estates can be, the place is actually something of a hidden treasure. 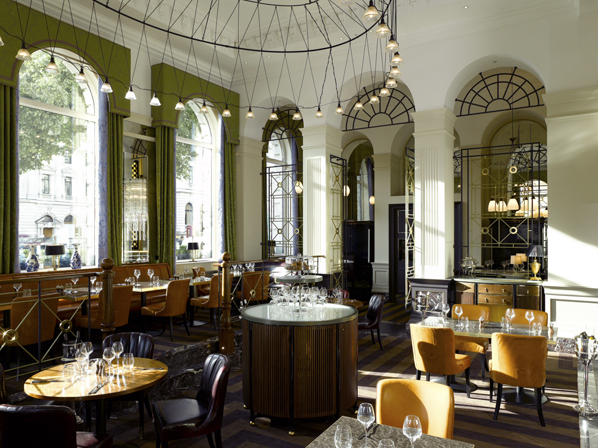 Situated in a converted bank, the austere exterior belies the opulence within. But walk through the lobby and the work of French interior designer Pierre-Yves Rochon is simply dazzling, with the neo-classic theme of the original building complemented by touches of contemporary style. This being a Sofitel, there is more than a hint of luxury: decadent scents waft through the air from flowers sitting atop the intricate furniture, while ornate columns set with gilt and marble support the double-height ceilings. As you would expect from a property of this standard, the service is immaculate. During our stay check in was a breeze and within moments of walking through the front door we were back downstairs to see what was on offer. 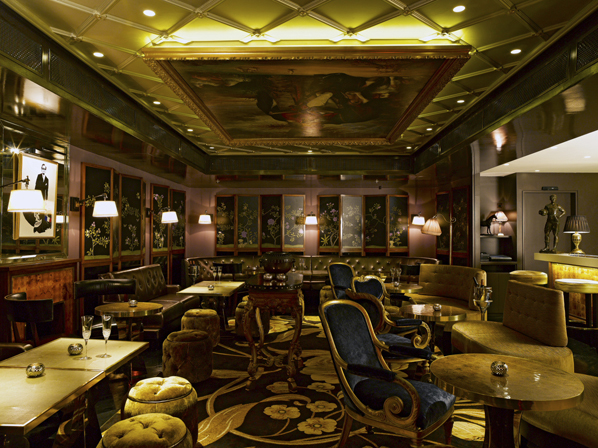 Off to the right of the lobby, the St James Bar takes its inspiration from the life of Coco Chanel in the 1920s. French antique gilt chairs, along with mohair banquettes and contemporary prints by Blek Le Rat decorate the room, creating a feeling of grandeur. Everything is quite light-hearted, however, and the property never succumbs to the pompousness occasionally found in the more desirable hotels. 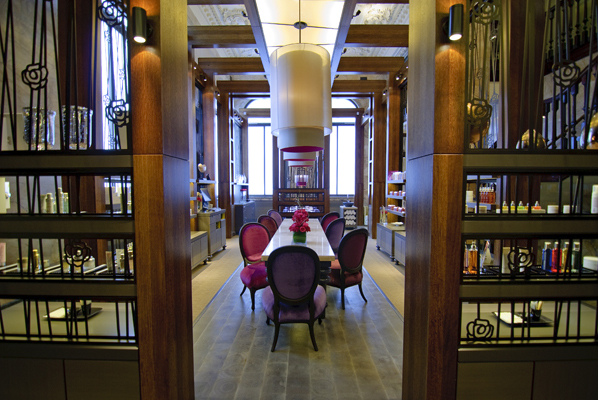 Next door, the Balcon, designed in collaboration with Russell Sage Studios, is a 100-cover brasserie. Serving European cuisine in an informal atmosphere throughout the day, it is open to the street, creating a buzz as people go about their business. Design details here, including oak and ebony striped wooden flooring and matching carpet, tan leather and mahogany dining chairs with resin topped tables, create an ambience of indulgent relaxation. It is a mark of true sophistication that champagne is served with breakfast - and even though it was a weekday when we visited, it proved impossible to resist. That is the overall feeling with the Sofitel St James though; it is a place where the whole range of London possibilities seems to come together in a casual, stylish manner. Downstairs the So Spa - where different therapies from around the world meet the refinement of the latest in French cosmetology - is also already a favourite here at Breaking Travel News. The hotel is comprised of 183 rooms, all with natural colour schemes designed to create a warm, close atmosphere. 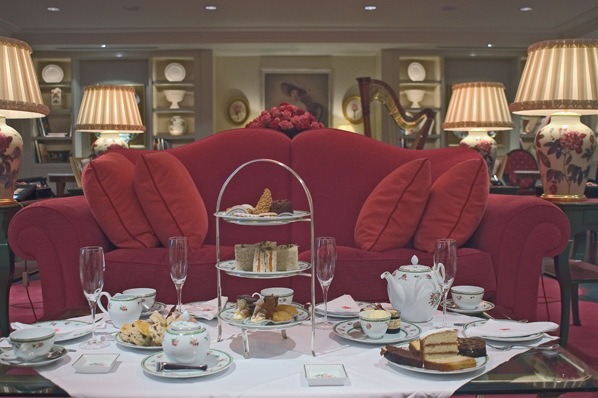 This being Mayfair – where a square foot of property costs more than the average annual salary – the rooms are not huge, but are tastefully decorated. Even right here in the centre of London the property is incredibly quiet – with a good nights sleep virtually guaranteed. Prices at Sofitel St James start at £200 per night. Sofitel is the only French luxury hotel brand with a presence on five continents with 120 addresses, in almost 40 countries. The brand offers contemporary hotels and resorts adapted to demanding consumers who expect and appreciate beauty, quality and excellence. Whether situated in the heart of a major city like Paris, London, New York, Shanghai or Beijing, or nestled away in a country landscape in Morocco, Egypt, French Polynesia or Thailand, each Sofitel property offers a genuine experience of the French “art de vivre”. Later in the year the group will welcome three new properties: Sofitel Montevideo Casino Carrasco & Spa (September 2012); Sofitel Casablanca Thalassa Tour Blanche (September 2012); and Sofitel Santa Clara become Sofitel Legend (December 2012). Take a look at the official website for more information.